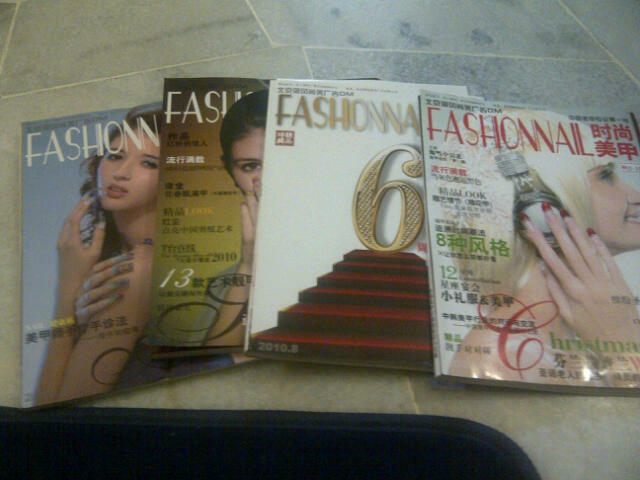 Few months back, I was looking for fashion magazines. I actually searched “high and low” for them. 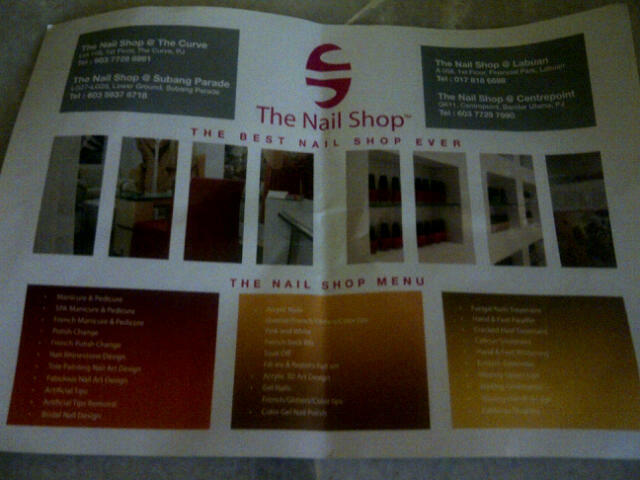 And then, I realized that the little cart at the Curve with the name “The Nail Shop” has the magazines. And, they are going out at RM 10 each. This is relatively cheap compared to those that I saw at Sungai Wang (later on I found out that Sungai Wang has these magazines too). Well, I am not too sure about how updated the magazines are since they are in Chinese. I am more interested in the photos of the nail arts. Nevertheless, sad to say, though I bought four magazines, I failed to find the kind of nail art that I wanted for my wedding. The magazines are more suitable for those who are learning how to do nail art. There are other nail art accessories sold there. However, I noticed that they are highly priced. For instance, a “finger” that is sold at Sungai Wang for RM 1.50 to RM 2, is sold at RM 8 at The Nail Shop. Also, the sales assistant was not there during lunch time, where there’s a note that she is away. Well, I think they should be around during peak hours like lunch time, rather than leaving the cart unattended when most customers are expected to come.